These fuss-free cacti and succulents will add a touch of quirky green to your living space and won;t need much space or effort. 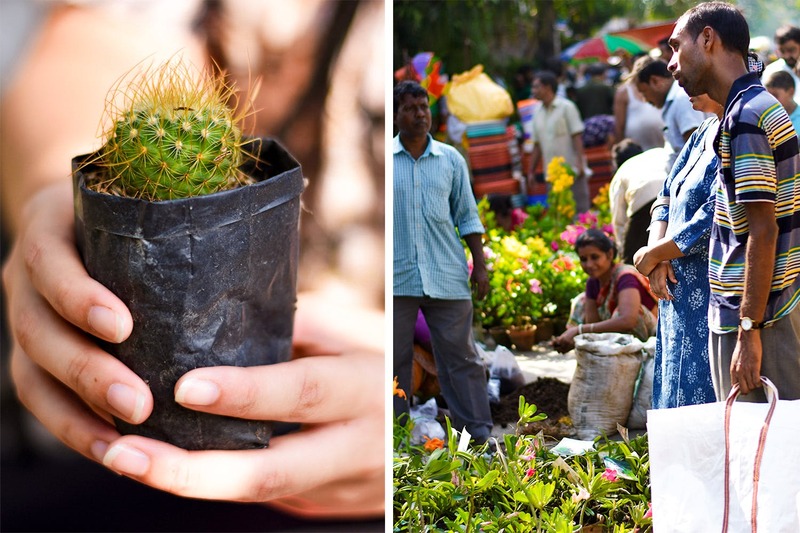 Every Sunday from 6am till noon, a smorgasbord of flora unravel at Galiff Street, one of the oldest markets in Kolkata. The street remains closed to traffic as large numbers of people throng in and out. Amidst local favorites – roses, hibiscus and lilies – one has to keep an eye out for individuals selling cacti and succulents in tiny clay pots. Catering to a niche crowd, these sellers are less in number and demand high prices for their products. So make sure you scout the area before settling on what you want. And bargain! If you buy more than one plant, chances are they’ll give you a discount, so pick up a few extra pieces for family and friends. A small spiny cactus ranges from INR 50-100 depending on the variety while succulents are a little more expensive, starting from INR 150. The best part? All they need is a window-sill, watering once a week and some love. You can also pick up earthen pots in different sizes and shapes. Smaller ones perfect for a desk or window are under INR 100. You’ll also find sacks of soil, fertilisers and vermicompost to help finish setting up your new urban garden. Go early since it gets super crowded from 8am onwards. Make sure to ask the seller to take your cacti out of its pot to ensure the roots are healthy and intact.